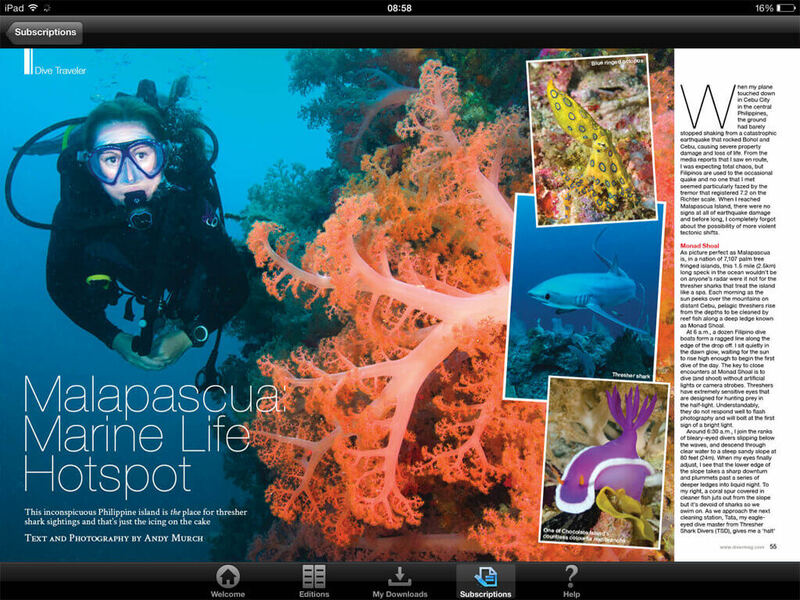 "YUDU helped provide DIVER magazine with a digital publishing solution that our customers deserved; true multi-platform publishing, simple user interfaces, and subscription entitlements at a low cost. We moved from Adobe DPS to YUDU and it was the best thing we’ve done. We’re a small publishing company that wanted the moon on a stick, YUDU made that possible, and our readers are very happy indeed." DIVER magazine is North America’s longest established scuba diving magazine, with an impressive 38 year history exploring under the waves and informing readers around the world - DIVER is distributed to 42 countries around the world. 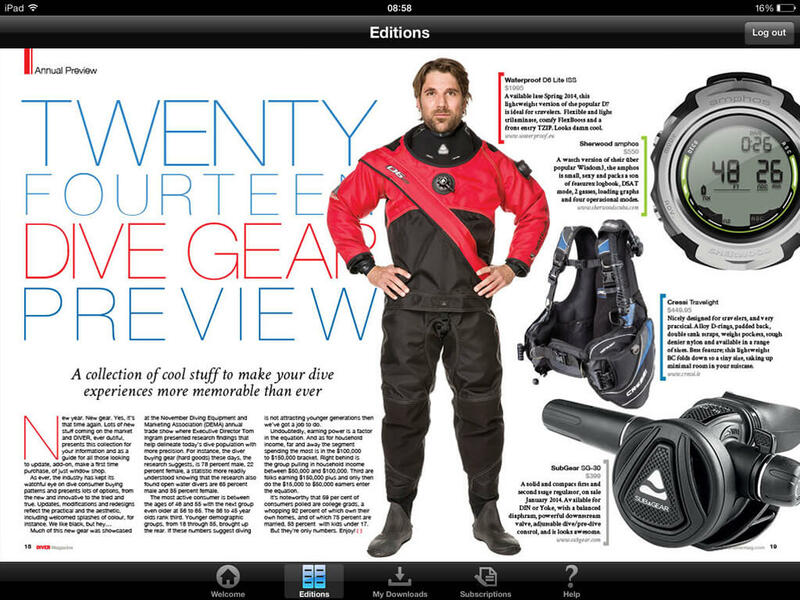 With regular contributors, and editorial board consisting of ocean luminaries such as Jean-Michel Cousteau, James Cameron, Sylvia Earle and Publisher explorer Phil Nuytten, DIVER has become one of the most respected diving publications on the planet. As a small company based in Vancouver, British Columbia, DIVER has its sights set on another 38 years of publishing, but to do so they needed to dive head first into digital publishing. Times are changing and their readers - old and new, deserve the option of digital editions. 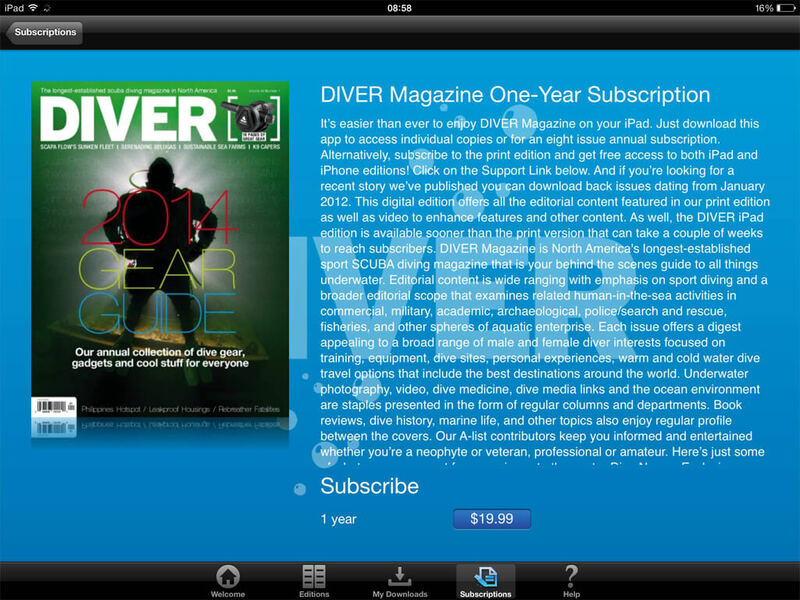 But with a very small publishing team, DIVER needed a digital publishing solution that was realistic. Realistic in terms of financial investment, but also time investment, workload and difficulty. They also required a true multi-platform experience - they wanted web-based, Android and iOS publishing. Most importantly, they needed to offer subscription entitlements, at various levels, to their existing and new readership. The challenge was to find a company that would work with them to meet the demands of modern publishing and a dedicated readership - no easy task. Although YUDU was indeed the solution they they’re looking for, it was not their initial choice; DIVER initially began with a one year experiment using Adobe Digital Publishing Suite. For a small publisher with limited resources, staff and finances, the Adobe DPS solution proved very limiting. The initial investment for a one year contract was large, with subsequent investment in software and additional staff training, all for what is essentially an old fashioned magazine. The time investment to create a dual layout interactive edition was huge. Even with a very experienced staff member at the helm, the extra workload was simply unsustainable for such a small team. The biggest problem however was Adobe’s lack of subscription entitlement within an affordable price range. Adobe had the bells and whistles, but on a daily basis, it was all unnecessary and impractical. 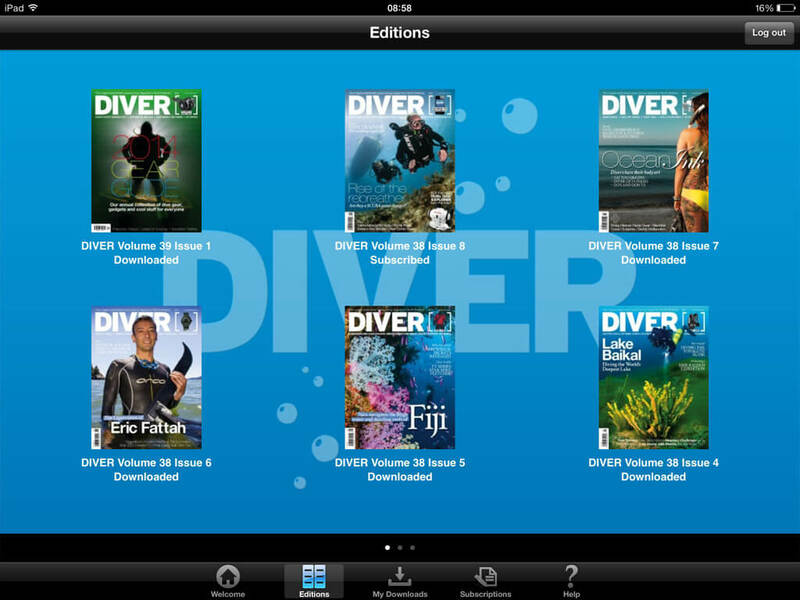 DIVER’s readers didn’t need interactive slide shows, 360 degree rotations and panoramic images – they needed accessibility, and they needed it on their home PC, as well as a mobile device. Adobe failed to effectively develop for the desktop platform - a major problem for DIVER. Enter YUDU. Their simplicity was their appeal. Yes, they can still add video content to magazines, they can still add Flash layers if required, but much more importantly they can offer iPhone, iPad, HTML5 and desktop PC editions, with full subscription entitlements for a fraction of the cost of Adobe. YUDU worked with them to create a bespoke entitlement database that allows us to offer the magazine to existing subscribers all around the world, on any device. Amazing. YUDU allowed them to publish a replica of the print magazine easily and efficiently, making it much more manageable in terms of time management. The YUDU solution is a realistic digital publishing system. Its HTML5 edition means Android users can read the issue without us having to invest in further Android app development. The East-coast based support team were also very well received by DIVER and they were particularly impressed with how easy the back-end is to use, reliable and substantial in its options. But most importantly their readers love it. They love being able to download their digital edition at home, on their phone, or their shiny tablet. They love the ease of use, the simplicity and even the saving of paper. They, as a publishing company can now offer subscription bundles; “Free digital access with all subscriptions” is proving to be a very attractive proposition to their predominately older audience - but with a younger, emerging readership now becoming interested. One of the biggest advantages of DIVER making the switch from Adobe to YUDU is peace of mind. They don’t have to be conceded with software updates, complicated and time consuming interactivity, iTunes Connect headaches, convoluted production processes or general reliability and enjoyment for their readers. They can concentrate on strong, quality editorial content: What publishing is all about.